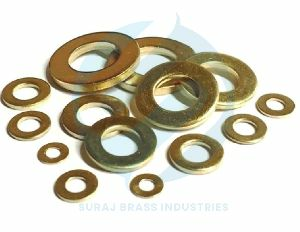 We are listed at the apex in the list of the well-reputed Brass Washers Manufacturers and Exporters from India. The Brass Fasteners offered by us includes Brass Hex Nuts, Brass Hex Bolts, Brass Slotted Pan Head Screws, Brass Slotted Raised CSK Head Screws, Brass Slotted CSK Head screws, Brass Cross Recessed Head Screws, Brass Square Nuts, Brass Wing Nuts Eye Screws, Brass Chicago Screws, Brass Machine Bolts, Brass Square Bolts, Brass Slotted Cheese Head Screws, Brass Studs, Brass Round Head Bolts etc,. 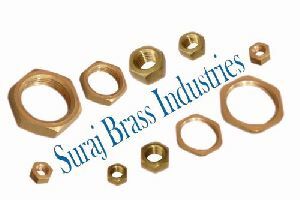 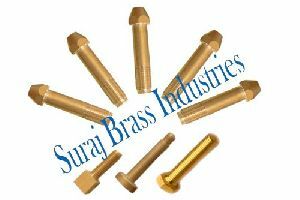 The Brass Nuts & Bolts are available in varied finishes, sizes and dimensions as per the specifications provided.